Blockchain is a distributed ledger designed for storing transactions and information across several databases. Records in the blockchain cannot be altered without changing the subsequent blocks which means that any changes made to the information on the blockchain is recorded. This aspect of blockchain makes it secure and transparent. Realizing the potential of blockchain, several companies have begun to work towards developing blockchain applications and systems. One of the latest blockchain based platforms is Almond. Almond is built with the purpose of helping brands become more transparent. Consumers can scan a code on a brand’s product with the help of the Almond platform. Doing so will reward them with tokens that they can redeem for cash. Moreover, the personal story and history of the scanned product will appear in the platform. Through Almond, brands can now digitize their products and give customers access to product and supply chain information which wasn’t previously accessible. Brands can use Almond to build better relationships with consumers by increasing product transparency and rewarding the loyal customers. The reason Almond platform has been built using the blockchain technology is because the distributed ledger technology is secure and the data is immutable. Each block in the ledger has a unique cryptographic fingerprint. Users who wish to access the block must prove their identity with a cryptographic key. Otherwise, they won’t be able to view or access the information stored in the block. Furthermore, the data in the blocks cannot be edited or deleted. Data in the blockchain is essentially stored in several locations and instantly updated. All the records in the ledger are verifiable and public. Moreover, there isn’t any central location. This means that cybercriminals cannot easily hack into the data since it simultaneously exists in thousands of places. Almond allows consumers to see the complete supply chain of the product as well as ingredient data. They’ll have to tap on “Almond TRAIL” option on the platform for this purpose. Customers can trace specific ingredients in a product by seeing who supplied them and where they originated from. The radical transparency benefits consumers as they can see what they are consuming. Moreover, it makes businesses more transparent as they can show consumers the products they are offering to them. Businesses that provide this level of transparency will surely benefit from better customer relationships. Almond is just one platform that promises to make businesses more transparent. Blockchain technology can be used to develop many applications which would empower business transparency. Applications can be developed for transparent payments, tracking, contracts and agreements. 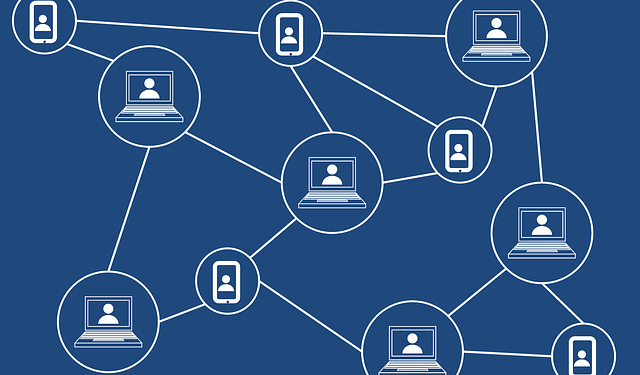 As all transactions are recorded on blocks and are protected through cryptography, blockchain technology is certainly secure and holds the power to make businesses more transparent. 8680i Wearable Mini Mobile Computer Will Millennials Change the Manufacturing Industry?